This concert marks the centenary of the armistice of the First World War. The concert is built on major pieces by French and English composers: Gabriel Fauré (1845-1924) and Ralph Vaughan Williams (1872-1958) who both lived through The Great War. Rather than expressing fear of death, Fauré’s Requiem expresses his view of death as, in his words, “a happy deliverance, an aspiration towards happiness above.” Vaughan Williams’ Five Mystical Songs puts to music Easter season poems by George Herbert (1593-1633) that celebrate the Resurrection and end with a triumphant antiphon of praise, “Let all the world in every corner sing: my God and King!” The theme of this concert is based on the poem “Crossing the Bar” by Alfred Lord Tennyson (1809-92). While an elegy, it has a tone not of sorrow but one embracing death as an inevitable part of life’s journey—not as an end, but as a new beginning. 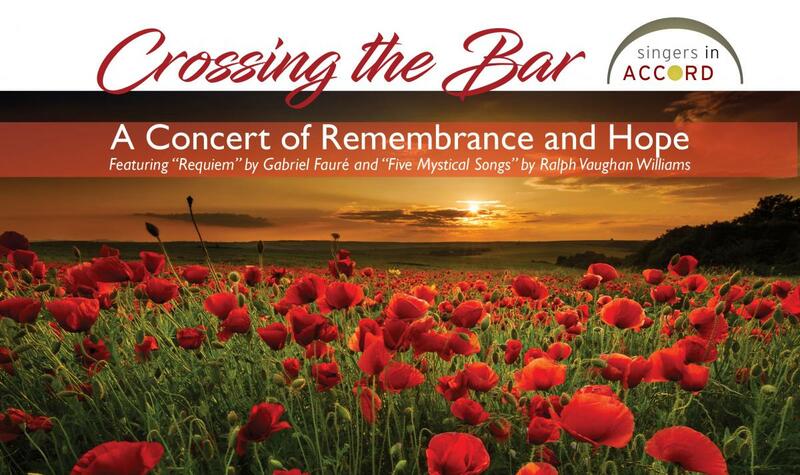 Join us for this special concert with guest conductor Dr. David Mennicke, organist Kraig Windschitl, and harpist Rachel Brandwein, as we remember one armistice and hope for more to come. Dr. David L. Mennicke is Professor of Music and Chair of the Concordia University, St. Paul, Music Department, where he has been Director of Choral Studies since 1989. Mennicke is in demand as a guest conductor, clinician, and adjudicator, having served in over 250 festivals, including the Minnesota All-State Children’s and Men’s Choirs and the Florence (Italy) International Choral Festival. He was named the 2015-16 Conductor of the Year by the American Choral Directors Association of Minnesota.